Last edited by blackbenzz; 02-15-2018 at 12:48 PM. Should be around $325 if you are close to his location. and how much just for the tuning as I already have a handheld unit ? $100 less if you already have the handheld unit. What would shipping run on the full kit to Honolulu, Hawaii (96822)? Thanks. There is someone who is running flex fuel and 10psi with the ESS kit but he has upgraded injectors, fuel pumps and a custom tune. Last edited by blackbenzz; 02-15-2018 at 06:06 PM. Shipping to Honolulu is $200. We agree that the car should have the fueling system and tune to support whatever fuel the car will be using. I am on the list for the complete kit at this amazing price! Ahmad is saving us a lot of money we can use for other mods so if you are on the fence a system this complete with a Gen 3 blower will never be less money. Go for it! Thanks! We have started invoicing for the group buy. Does the bottom of the ESS SC contact the engine valley? What heat shielding does the ESS unit employ at the bottom near the valley? Do you have any additional photos of the ESS unit after you opened it up, and of the bottom of the unit? 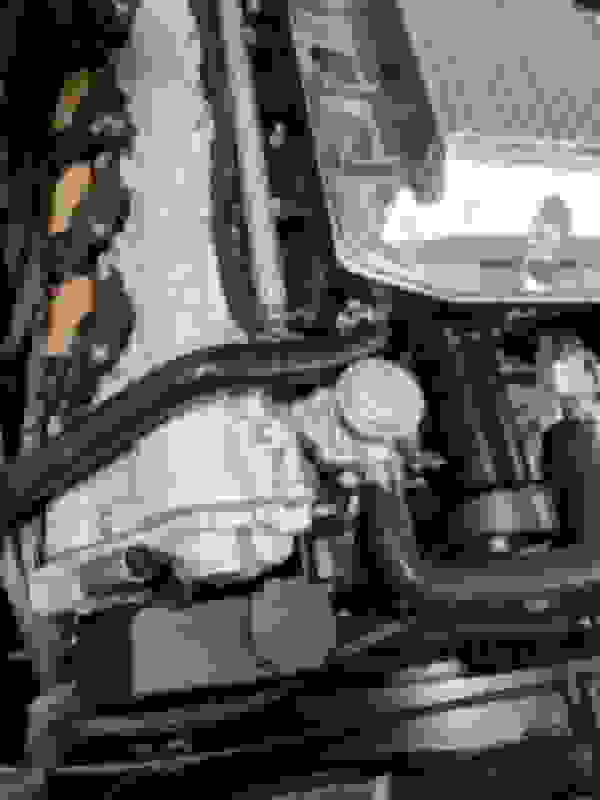 The bottom of the ESS does not contact the engine valley. It bolts up to the heads but the supercharger has the map sensor bolted to the bottom of it and even that has clearance. There is no heat shielding provided. 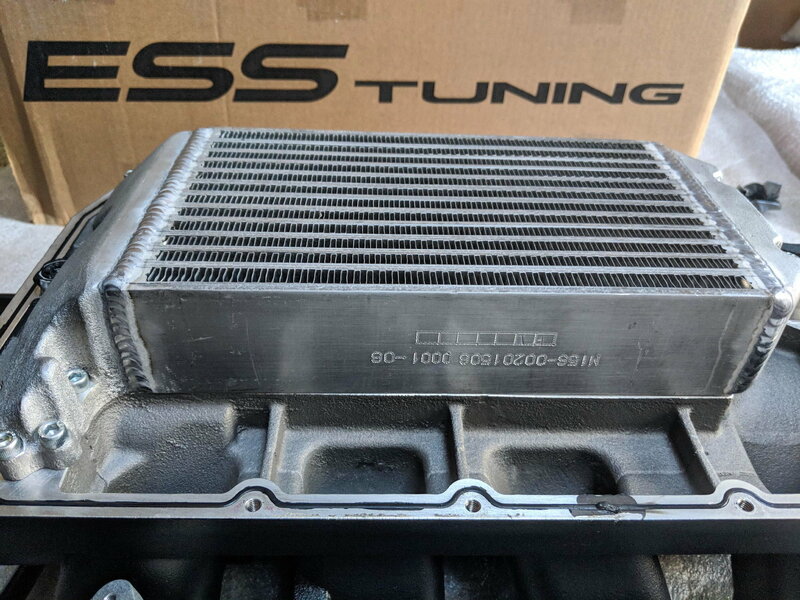 The ESS is designed with the supercharger on the bottom and intercooler on top to help with cooling versus what is available from other companies. I do have pictures of it opened up but I did not take pictures of the bottom. 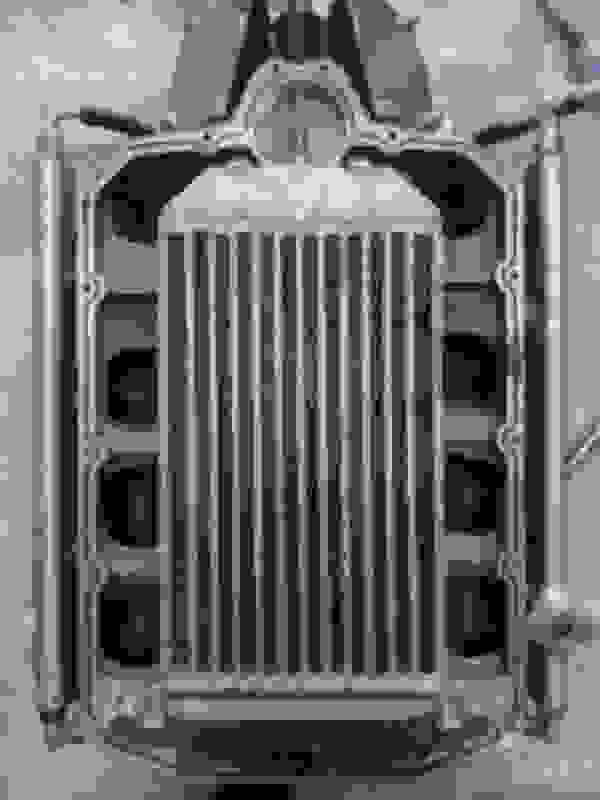 The bottom is just the top of the Gen 3 Whipple supercharger. Here are the pics of the opened up ESS. You can see the large intercooler and why putting the intercooler on top is better for cooling versus sandwiching it between a hot engine and hot supercharger. Feel free to ask me any other questions! Hi whats the price of shipping to Sydney Aus? Looks like power steering resevoir stays in place? $400 USD to Sydney, Australia. The power steering reservoir is relocated and a replacement reservoir is included in the kit. It bolts to the passenger side head. I can take a pic for you if you'd like. Last edited by East Coast Euro; 02-21-2018 at 10:02 AM. 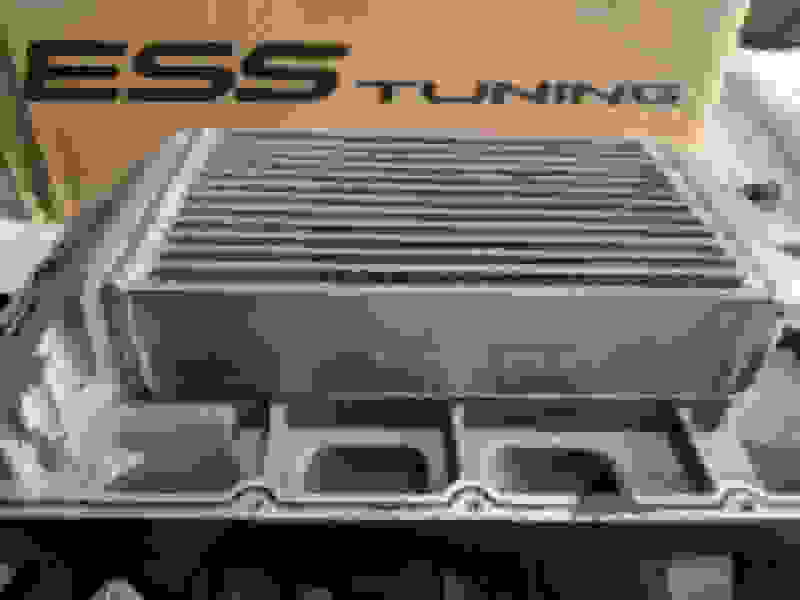 ESS does not offer remote tuning but we are working with Eurocharged to offer a handheld programmer with remote tuning capabilities for those who do not want to ship their ECU to ESS or want custom tuning. Cost will be $1000 with the handheld. Is remote tuning a go and is that $1k on top of the existing pricing? Which warranty are you referring to? I was talking about the 2 year warranty with ESS stuff. If you use another tun tuner that voids any warranty. "Standard software has throttle modulation in mid range to help traction issues and avoid transmission/diff problems. This is highly recommended!"